For a limited time, get 50% off ALL Cards & 15% off All Other Orders! Use code: 50FALLINSALE during checkout. This is good till 09-18-2012. 50% of the invitation, greeting card, photo card and/or postcard net sale price and/or 15% of the product net sale price will be deducted when one or more qualifying products are purchased and the coupon code 50FALLINSALE is applied at checkout. For most products, the net sale price is the price of the product (excluding shipping and taxes). For Zazzle Custom Stamps, the net sale price is the difference between the price of the Zazzle Custom Stamps (excluding shipping and taxes) and the face value of the postage. Offer is valid through September 18, 2012 11:59pm PT. This offer does not apply to past purchases and may not be combined with any other Zazzle promotional or volume discount offers. If a volume discount applies to your order, you will receive either the discount set forth in this offer or the standard volume discount, whichever is greater. Offer valid on Zazzle.com only. For a limited time, get 50% Off Cards & Invitations. This is your Early Bird opportunity to save big on Holiday Cards. Just use code: HCARDSAVINGS during checkout. This deal expires 09-16-2012. 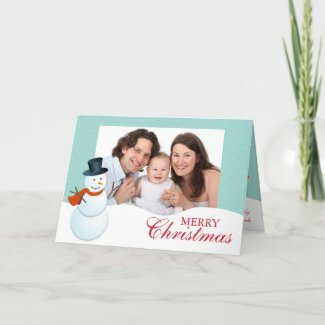 50% of the invitation and/or greeting card net sale price will be deducted when twenty five or more qualifying invitations and/or greeting cards are purchased and the coupon code HCARDSAVINGS is applied at checkout. The net sale price is the price of the product (excluding shipping and taxes). Offer is valid through September 16, 2012 11:59pm PT. This offer does not apply to past purchases and may not be combined with any other Zazzle promotional or volume discount offers. If a volume discount applies to your order, you will receive either the discount set forth in this offer or the standard volume discount, whichever is greater. Offer valid on Zazzle.com only.